This Dairy Free Buttercream Frosting recipe will blow you away. Super simple and minimal ingredients are in between you and a delicious vegan buttercream frosting recipe. 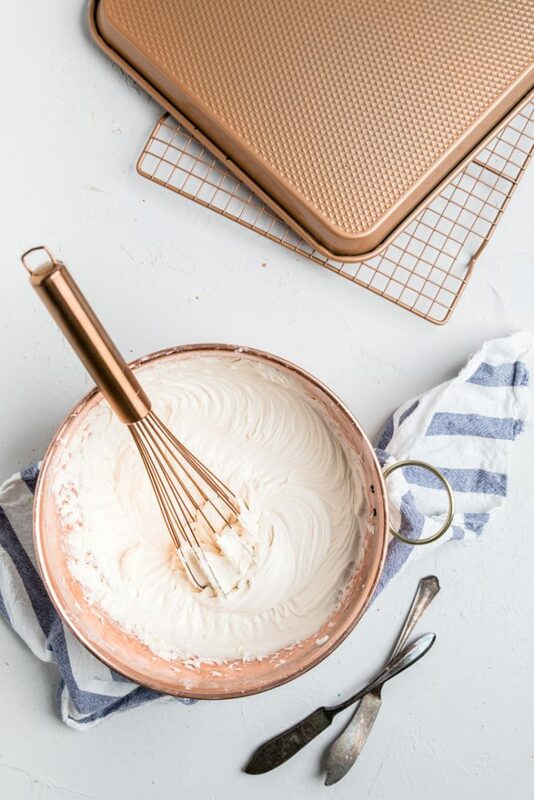 Dairy free buttercream frosting is the answer to all your sweet tooth cravings. A delicious vegan buttercream frosting can literally can the entire way you look at the dessert you are having at the time. It is so smooth and creamy. Best of all, this dairy free buttercream frosting spreads so well or can be piped easily on top of anything. This dairy free buttercream frosting is great on top of everything from cake and cupcakes, to cinnamon rolls and more. We won’t even tell if you just lick it off the spoon. This is a dairy free, egg free, vegan buttercream frosting recipe. A simple swap can make this a Top 8 Allergy Friendly Buttercream Frosting recipe. 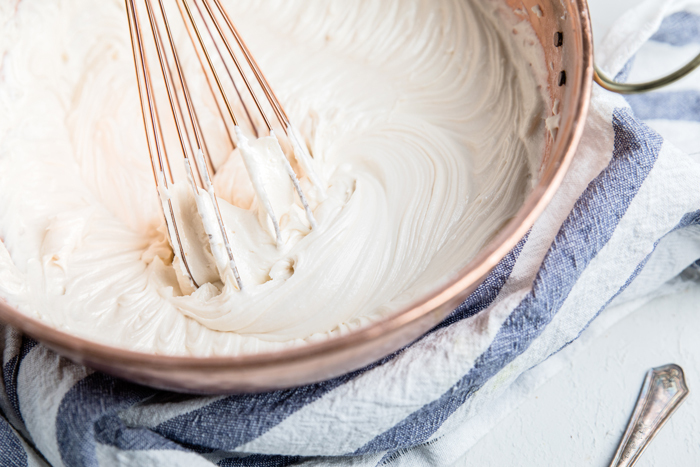 What ingredients do you need for dairy free buttercream frosting? Just like our delicious dairy free chocolate frosting only needed six ingredients, this dairy free buttercream frosting recipe is minimal in ingredients too. Even better, is that you only need FOUR ingredients to make this super simple dairy free buttercream frosting. 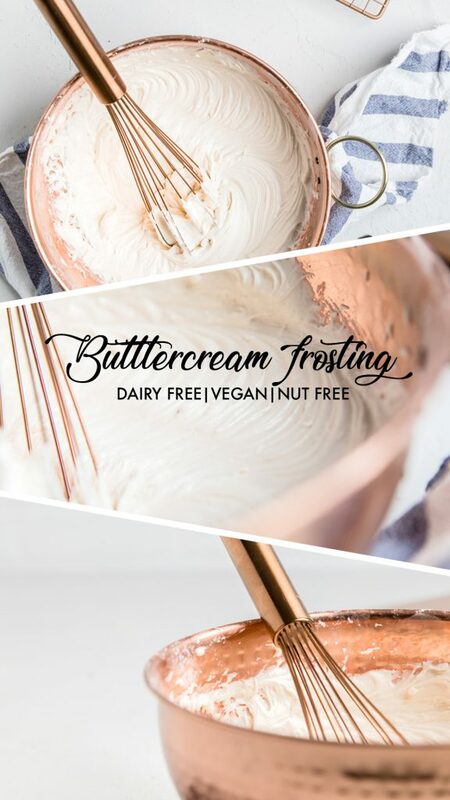 How do you make dairy free buttercream frosting? To starting making dairy free buttercream frosting, add the vegan butter to a large bowl and beat with a mixer until creamy. Next, sift in the powdered sugar. Add the milk and vanilla extract to the bowl and beat until combined. 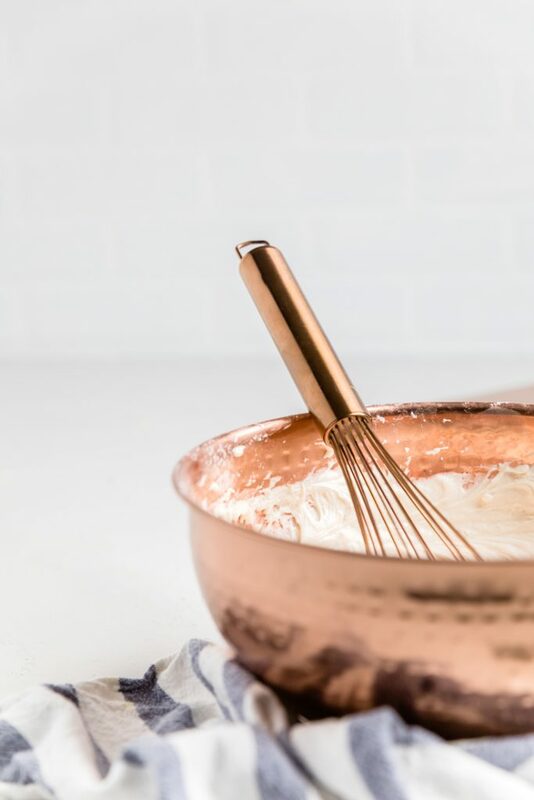 It’s literally that simple to make a deliciously, creamy and spreadable dairy free buttercream frosting recipe. It takes just about 5 minutes to make. Never again will you have to wonder what is in your container of buttercream frosting or fret because you forgot to grab a tub from the store. Super easy and betting tasting dairy free frosting is right at your finger tips. Do I have to sift the powdered sugar to make dairy free buttercream frosting? 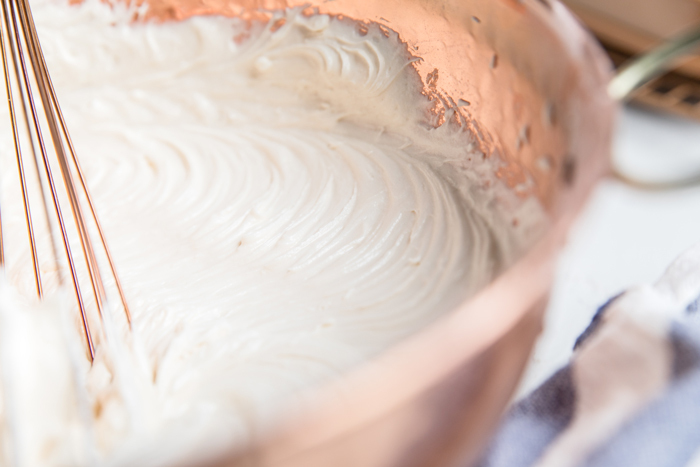 Sifting in the case of making dairy free frosting is crucial. 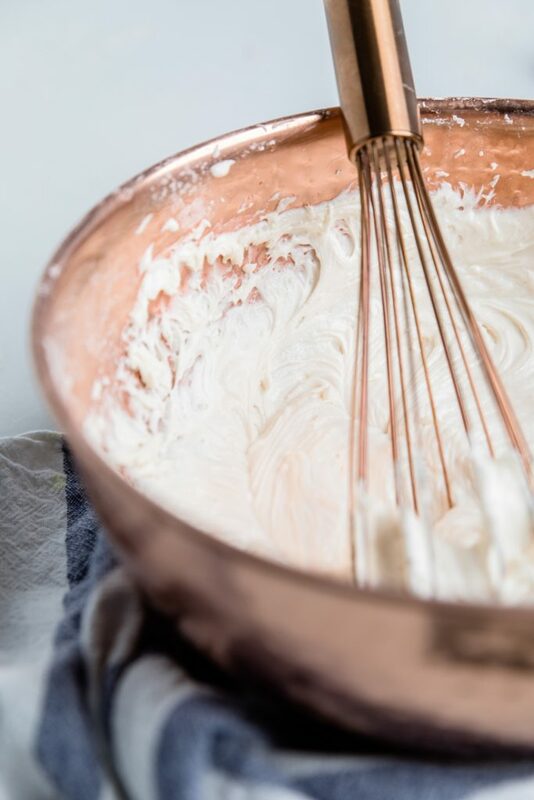 I know, I know, it’s easier to just dump right into the bowl; however, this is one step that you don’t want to skip if you are trying to make the perfect dairy free frosting recipe. There’s two main reasons that you need to sift the powdered sugar in order to get the perfect vegan frosting recipe. First, sifting removes the lumps in powdered sugar that is caused from the sugar absorbing moisture. Second, when you sift powdered sugar, it makes it fluffier. In shorter terms, if you want a dairy free buttercream frosting that isn’t lumpy, then you really need to sift the powdered sugar. CAN I MAKE DAIRY FREE BUTTERCREAM FROSTING AHEAD OF TIME? Whether you are prepping for a holiday get together, party, or birthday, being able to plan ahead and get things done is always beneficial. 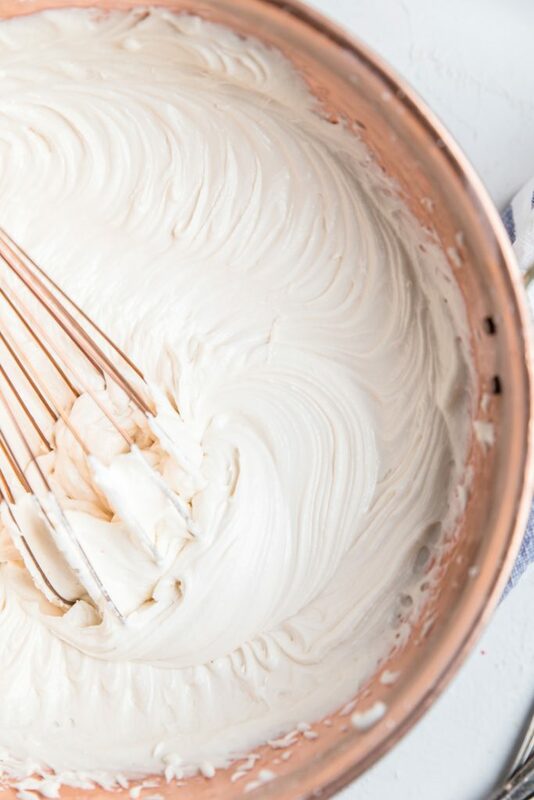 Thankfully, you can absolutely make this dairy free buttercream frosting ahead of time. Simply, make as instructed and then place this dairy free frosting in the fridge in an air tight container. This vegan frosting recipe will last in the fridge for up to 2 weeks if stored properly. What can I use the dairy free buttercream frosting with? If you like sweet cinnamon rolls they you’ll definitely want to pair this dairy free frosting with our pumpkin cinnamon rolls recipe. If you’re a fan of chocolate cake with a buttercream frosting then definitely pair this dairy free frosting with our triple layer dairy free chocolate cake. 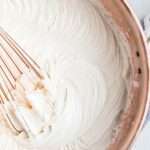 Of course you can use this dairy free buttercream frosting for any other of your favorite cakes (like a dairy free vanilla cake), cupcakes, cake pops and more. Try serving it on a platter with fresh fruit and graham crackers or sandwiched between these almond butter oatmeal cookies or ginger snaps. In a bowl, cream the butter by beating with a mixer on medium speed for 2 minutes. Sift in the powdered sugar and beat to combine. Add in 2 tbsps dairy free milk and vanilla and mix again just until incorporated. If you need it thinner, add up to 2 more tablespoons of milk. Use immediately or store in air tight container for up to 2 weeks.